Albany, NY On January 27-29, the American Council of Engineering Companies of New York (ACEC New York) held their annual Winter Conference for the second year at the Capital Center and Renaissance Hotel in downtown Albany. 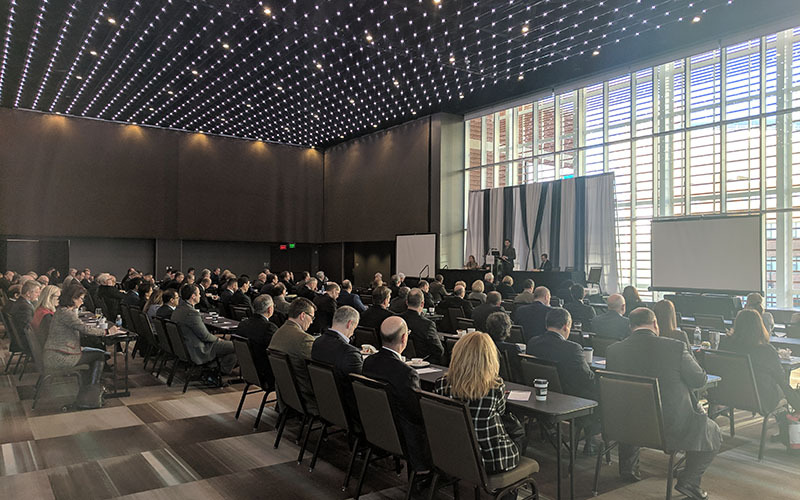 This event is the largest conference on the ACEC New York calendar, and this year’s attendance exceeded all expectations with over 400 engineering and related professionals, as well as agency and authority personnel, in attendance. The conference also offered parallel tracks for CFOs/business managers, emerging leaders (engineering professionals preparing to take on top leadership roles in engineering firms), and a new track for HR personnel, which turned out to be a popular addition. This year, the theme of the conference was “Engineering Safety and Security,” and Monday’s agency presentations touched on this theme, as well as upcoming projects and capital programs. The following agencies/authorities gave presentations during the conference: NYS Thruway Authority, NYS DOT, NYS Bridge Authority, NYS Canal Corporation, NYC Department of Design and Construction, NYC Housing Authority, NYC Department of Environmental Protection, NYS Department of Environmental Conservation, NYS Environmental Facilities Corporation, NYSERDA , NYC Department of Transportation, Port Authority of New York and New Jersey, NYC Economic Development Corporation, NYS Office of General Services, State University Construction Fund, NYS Parks and Recreation, and the Dormitory Authority of the State of NY. The conference also featured several notable keynote speakers. On Sunday night, attendees at their welcome dinner were treated to an interactive presentation on “Gender Bias, Inequity and Discrimination in STEM” from Dr. Liesl Folks, Dean of the University of Buffalo’s School of Engineering and Applied Sciences. 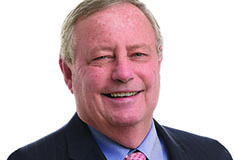 On Monday morning, the morning keynote speaker, Mark Vitner, managing director, senior economist, Wells Fargo Securities, gave an engaging economic presentation. During the Anniversary Luncheon, Casey Seiler, senior editor for news at the Albany Times Union, gave attendees some key insight on politics in Albany. During the board meeting on Tuesday, Michael Wojnar, deputy secretary for transportation for the office of governor Cuomo, spoke briefly to members about the importance of infrastructure funding and upcoming policy changes. Monday night’s Infrastructure Policy Networking Event, which took place in the DeWitt Ballroom in the Renaissance hotel, was also well attended by number of legislators and key personnel, including NYS senator Tim Kennedy, chairman of committee on Transportation (who also addressed the Legislative Committee on Sunday); NYS senator James Sanders; and assemblywoman Amy Paulin, chair, committee on corporations, authorities and commissions. 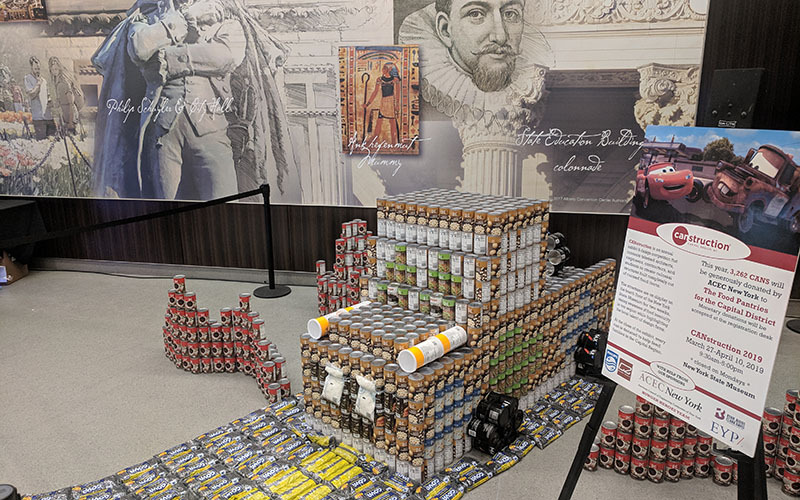 Once again, ACEC New York partnered with the Capital Region CANstruction to showcase a sculpture at the conference, which gave additional exposure to an organization supported by many ACEC New York member firms and added an element of fun to the conference. All told, over $3,000 in cans were donated to the Food Pantries for the Capital District. Monetary donations can still be made via the ACEC New York “donate” button on the Hunger Heroes page of the Food Pantry website (thefoodpantries.org/hunger-heroes.html). The 2019 Winter Conference was a great success and possibly the best conference to date. ACEC New York looks forward to continuing to improve and expand this event in years to come. ACEC New York is a proactive coalition representing nearly 300 member firms who engage in every discipline of engineering related to the built environment including civil, structural, mechanical, electrical, environmental, and geotechnical. We are a diverse group of consulting engineering firms from across NYS, ranging from sole proprietors to multinational corporations that collectively employ over 30,000 New Yorkers and nearly ten times that number worldwide. Our shared goals are to further the business interests of our membership, enhance the quality and safety of the environment we live and work in, and help ensure the vitality of our communities. For more information, visit www.acecny.org.